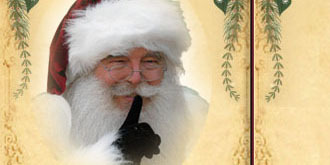 A personalized video message from Santa is a great way to add cheer to anyone's holiday season. Note: We strive to make your video appear like it was made by the elves and Santa at the North Pole especially for your recipient. It is not a slick high production cookie cutter video. ENJOY!!! Santa's message can be received Christmas Eve reminding the children to leave milk and cookies for Santa. Your message is tailored to your request and can be delivered on any day. The more information that is supplied to Santa the more connection the recipient(s) will have with the video. Santa likes to send the message in advance so it can be checked for name pronunciations and corrections can be made if necessary. 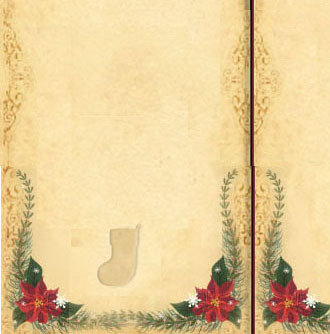 All messages will end with a line about the "Spirit of Christmas" unless otherwise specified. -The video length is approximately one minute. For an Entire Family - This message is great fun because every name can be read off as if Santa is reading from his "Nice List." 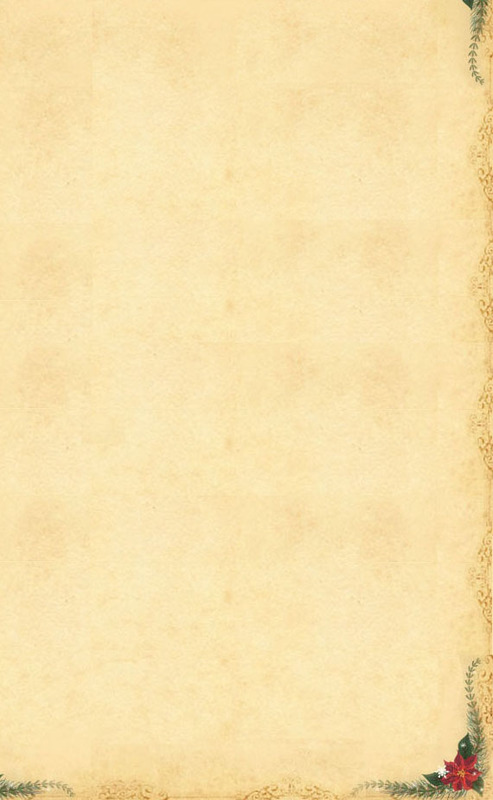 Pricing for a Family - family's last name is considered the 1st name ... if you want Santa to list off individual names in the family there is an additional charge of $5.00 per name. 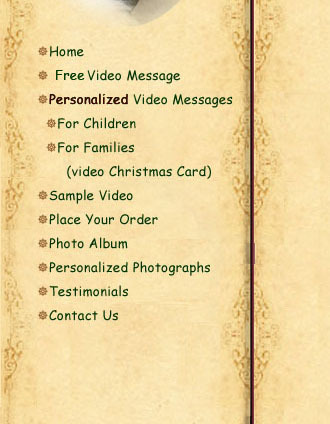 After you have submitted your payment you will be directed to a questionnaire requesting all of the specifics for your "Personalized Video Message from Santa". A questionnaire will be filled out for each video ordered. Click Here to be placed on our email list for a reminder in 2014.